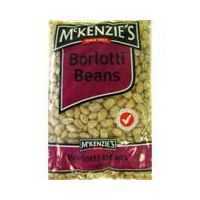 Mckenzie’s dried veg borlotti beans are great value compared to canned beans. I usually prepare/soak them in large batches and then freeze them in smaller packets ready for my next minestrone. How would you rate Mckenzie’s Dried Veg Borlott Beans?